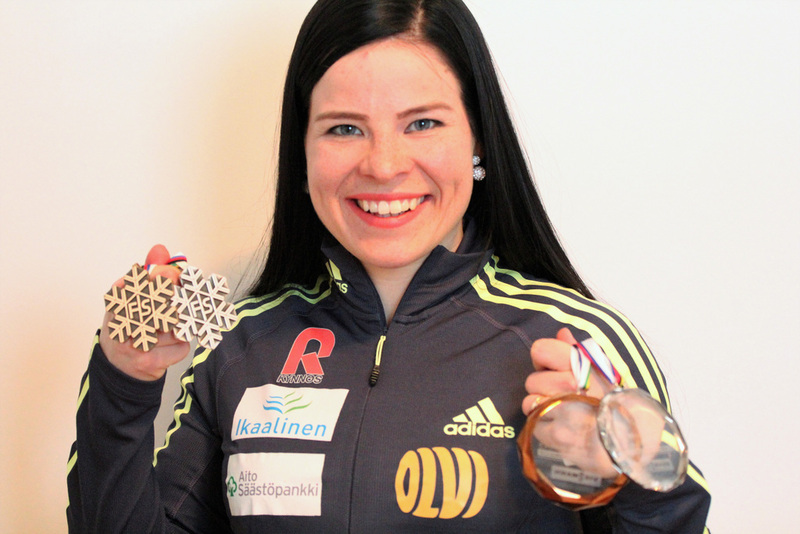 Krista Pärmäkoski is a Finnish cross country skier who has competed since 2007. At the 2010 Winter Olympics, she finished 26th in the 30 km and 53rd in the 10 km event. At the FIS Nordic World Ski Championships 2009 in Liberec, Lähteenmäki finished 37th in the 10 km event. Her best World Cup finish was second in one of Tour de Skis events in 2011. Lähteenmäki also was in Finlands team in Oslo WC 2011. Her best individual finish was 5th in 10 km event. She also won silver in team sprint, and bronze in 4×5 km relay. Check out this young skier’s wonderful journey in a candid interview with Namita Nayyar, President Women Fitness. You started competing in cross-country skiing in 2007 and have been performing tremendously well ever since. Walk us through this spectacular journey and tell us how it all began? I have been doing skiing since my childhood, but I started competing at the age of 12. I come from a small town named Ikaalinen, and I have always been very active and helped my dad in all duties he had at our farm. I can still remember for example when it was time to carry stones away from the fields. Stones about the size of my head I carried by my own hands, the bigger ones were moved by my dad by tractor. I believe that is where my guts and strength come from. I have always learned to work hard and do the work as good as possible.